ABC announced today that Grey's Anatomy has been renewed for an impressive 14th season. The long-running Shonda Rhimes hospital drama has been on the air since 2005, remaining a steady presence in the network's Thursday night lineup. While ratings have dipped from the night-topping numbers it garnered in its heyday, Grey's remains one of ABC's top dramas. This current season has it ranked as the network's #1 show in the coveted adults 18-49 demographic, and the #3 drama on all of broadcast TV. 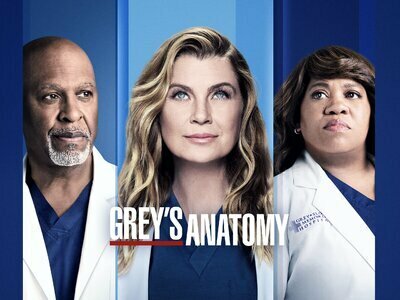 Grey's Anatomy joins other the Shondaland dramas picked up today that air as part of ABC's TGIT lineup, including Scandal and How to Get Away with Murder. ABC has renewed Greys Anatomy for a eleventh season for the 2014-2015 fall schedule. The renewal had largely been expected with the show considered a lock for renewal. Grey's Anatomy is gearing up to welcome back one of its original and most controversial stars, Isaiah Washington. ABC announced earlier today that former doc has officially signed on to reprise his role as Cristina’s ex, Dr. Preston Burke, in a guest star capacity for one episode airing sometime this May. Grey's Anatomy airs Thursdays at 9/8c on ABC. Greek graduate Paul James is enrolling at Grey Sloan Memorial Hospital this spring. The actor is joining Grey’s Anatomy in a potentially recurring role. According to a Grey’s insider, his character comes to the hospital to assist with research. It doesn't look like Grey's Anatomy's core couple is going anywhere anytime soon. Ellen Pompeo (Meredith Grey) and Patrick Dempsey (Derek Shepherd) have both signed new two-year deals with ABC's long-running medical drama that will bind them to the Shondaland show for a potential 11th and 12th season. While this new pact is certainly a step in the right direction, it does not guarantee that the series will be given a renewal beyond its current tenth season. James Remar is probably best known to TV fans as 'Dexter's adoptive father Harry Morgan, but the actor has carved out a long and distinguished career for himself. The 'Greys's Anatomy' role is unknown but what is confirmed is that Remar's arc will run for multiple episodes of year ten, and that he'll make his debut not too long after the season premiere. ABC has today officially renewed "Grey's Anatomy". It will go into it's tenth season this fall.